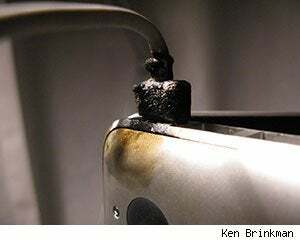 "Smoke was pouring out the seam between the unibody and bottom enclosure. I actually burned my hand pretty badly ripping the adapter out. Oh man. This is really scary because what if I didn't wake up? It could have burned my house down."